Newspapers had falsely accused mosque’s scouts group of extremism and falsely attributed statements to Imam Shakeel Begg. Three national newspapers have apologised to Lewisham Islamic Centre, in south London, for reporting false information regarding their scouts group. The Times, Daily Star, and Daily Mail have corrected their stories in which they falsely accused the mosque’s scouts group of extremism. Responding to the apologies and corrections, Lewisham Islamic Centre issued a statement saying that they have “received categorical apologies from the various media outlets who published hurtful untruths about the Centre’s Scouts group in January 2019. Alhamdulillah (all praise are for God)”. 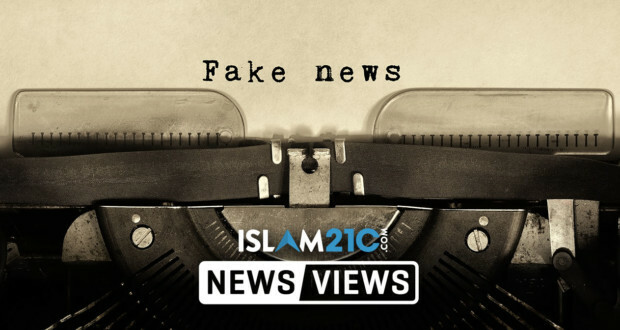 “The Times (by Anna Behrmann), Daily Mail (by Leigh McManus) and Daily Star – all publications with past and continuing anti-Muslim and anti-Islamic bias – have all published retractions,” the statement added. The Times also issued an apology in their retraction, saying that they understood “there that no such concerns were raised by the association; and that neither the centre nor its scout group is subject to any police investigation”. The statement also added that the “apologies now published speak volumes” and referenced the Islamophobic Henry Jackson Society, who gave a positive reaction to the newspapers’ original stories. This is not the first time that UK newspapers have vilified Muslims, and it does not seem as though it will be the last. But in the words of the Lewisham Islamic Centre, we will stand “by truth as the Qur’an commands, and will continue to lead by example and empower the Muslim community to stand against voices that seek to disenfranchise us”.